And… It’s another sew-along day. I hope you aren’t sick of them yet. We are almost through! Just a week and a half-ish left! On Monday, we sewed the “lower side” of the suitcase, and today’s task is to sew the upper side. One goal I had while designing these suitcases was to only use material available at my local (rather tiny) Big Name Fabric Store. They have a rather abysmal zipper collection as far as longer utility zippers go. So in this project, we use two smaller “regular” type zippers in place of one larger one. The color selection is better for this style. 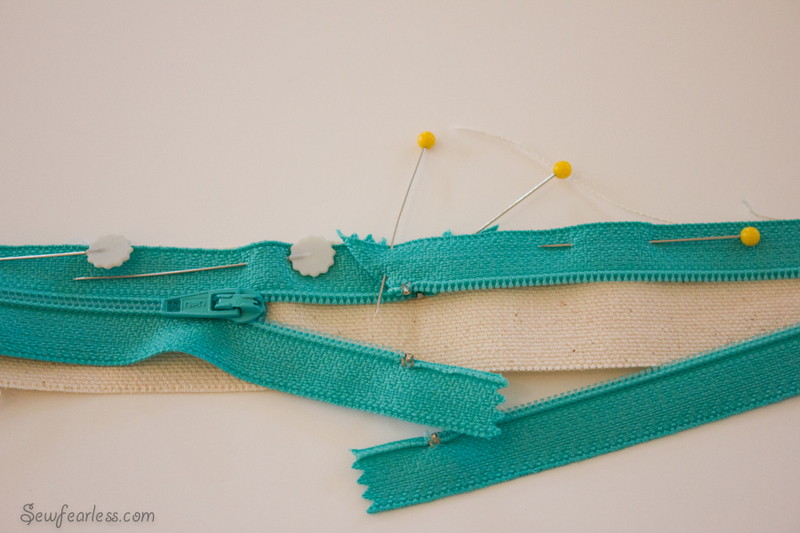 To sew the zippers onto the ‘Zipper Strips’, place the zippers with their bottom zipper stop just over 1/2″ from the ends of a ‘Zipper Strip’ and the top zipper stops in the center. The top ends of the zippers overlap at the center of the Zipper strip. 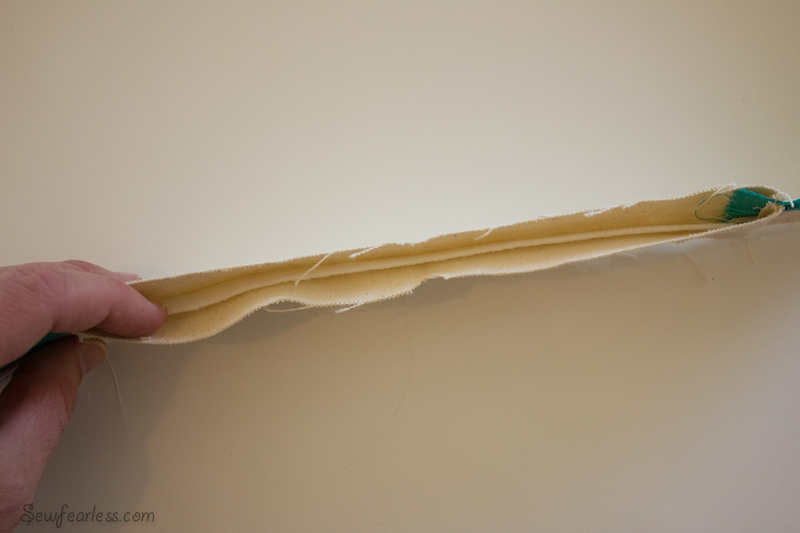 Tuck up the ends of the zippers upwards into the Zipper Strips seam allowance. Baste the zippers in place. 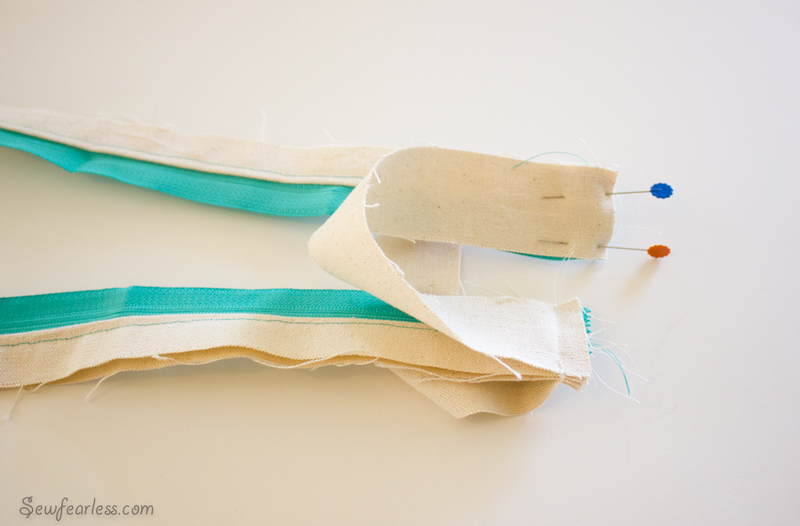 Place the second Zipper Strip on top of the basted zippers, and sew the zippers and strips together (3/8″ seam allowance). 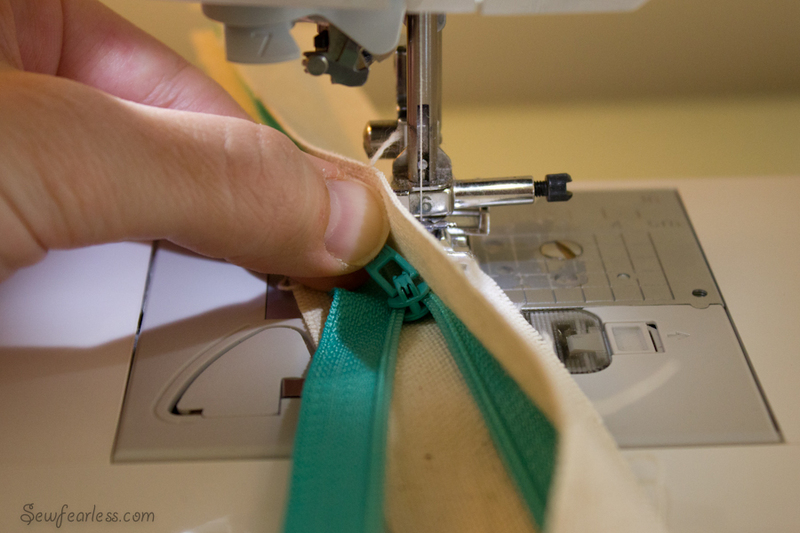 Just a tip: Stop sewing, lift the foot, and slide the zipper heads out-of-the-way before sewing by them. Don’t even ask me how long it took me to learn to do that while learning to sew zippers. It was a bit of a light-bulb moment for me. And true confession, I don’t even bother with the iron to press open this seam. I just “finger press” it. Who wants to accidentally melt the zipper? Not me. Topstitch the zipper seam. Then, sandwich the ends of the zipper strips between the ends of the ‘Zipper Extensions’. 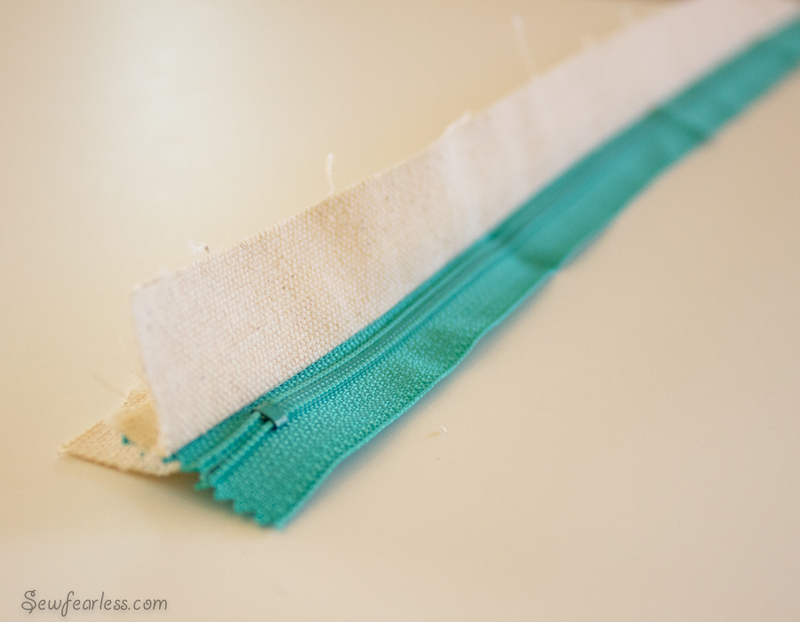 Sew the short ends together. 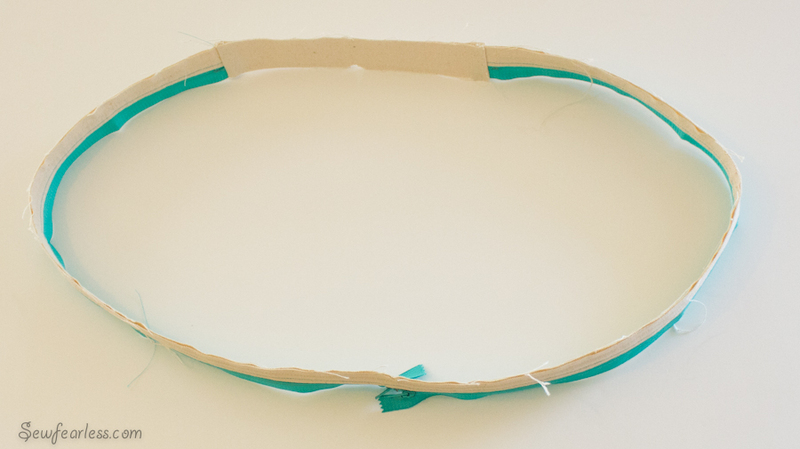 This turns the zipper pieces into one big pretty loop. But we aren’t done yet. Staystitch the “top” edge of this loop. 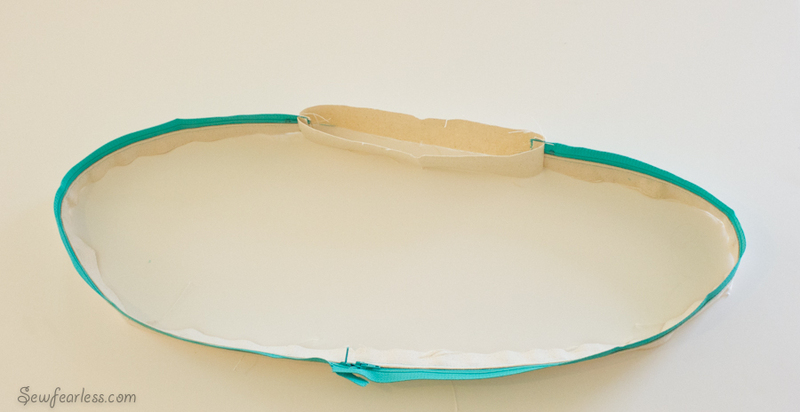 The top edge is the edge opposite the zipper tapes. 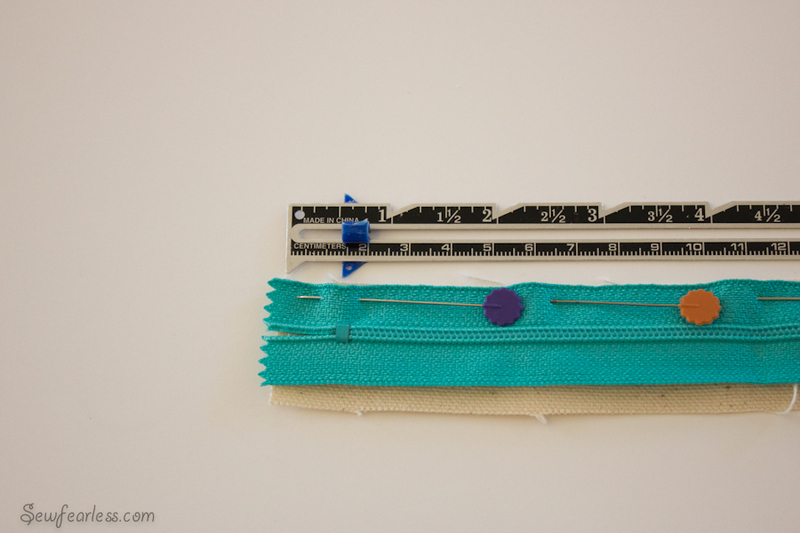 The staystitching makes a little pocket between the Zipper Extensions. Slide the Zipper Extension Stabilizer piece into the pocket. Then, baste the pocket closed. The Upper Side is finished! I’m going to have to take a break from the sew-along until next week. We have a double birthday weekend coming up with company coming in. 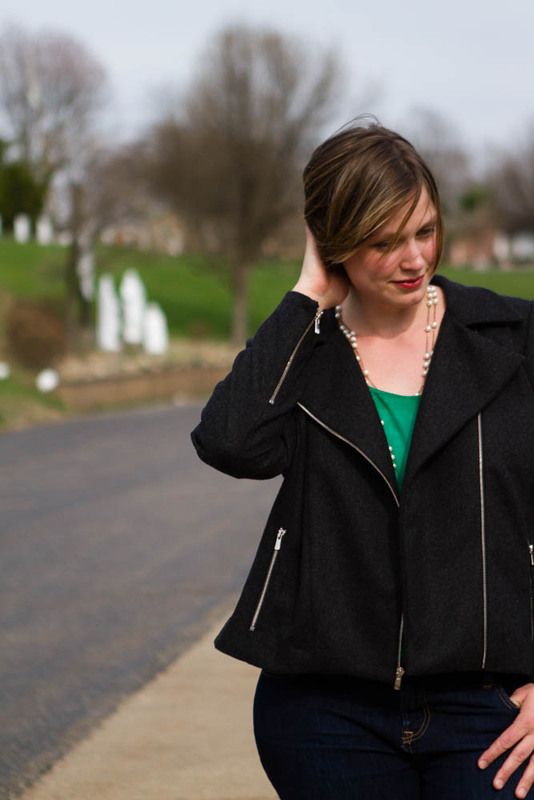 I had hoped to have our sew-along posts scheduled, but a stomach bug is wreaking havoc. I’ll be back to the sew-along by Tuesday, I hope. I should be around and available to answer suitcase questions if you get stuck though. Just leave a comment below. Very clever! 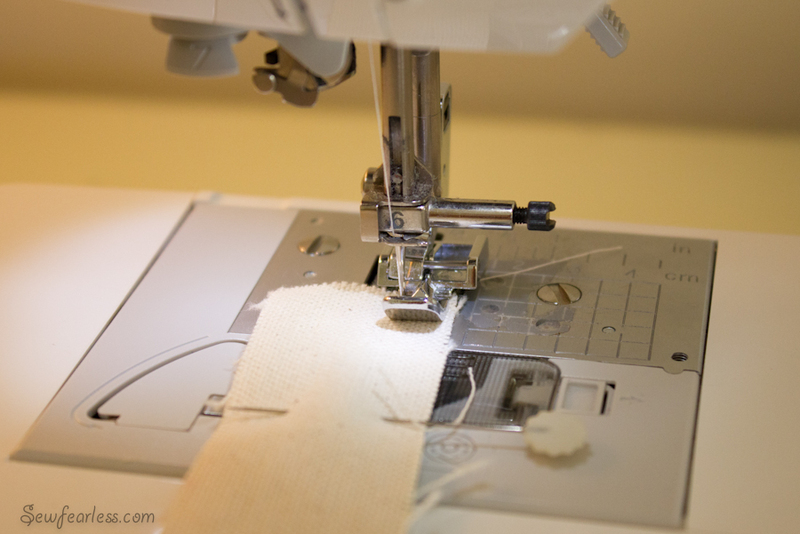 I find the sew-a-long very enjoyable to follow…I sew in spirit! Hi Jodi thank you so much for sharing this pattern. I loved making the suitcase in upcycled denim for my granddaughter, it was easy to follow thanks to your clear explanations.Very clever indeed!